Since the advent of social media, companies around the globe have embraced it’s marketing potential and have incorporated social platforms in their promotion arsenal. With a combined user-base of 2.5 billion across all of social media, it’s no wonder why 88% of businesses use social media to market themselves online. 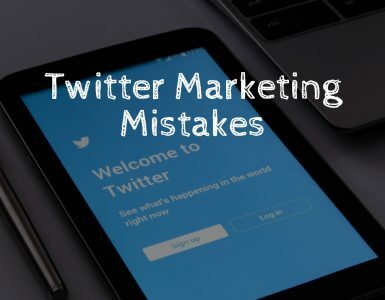 I have however noticed common social media marketing problems that companies regardless of size tend to run into – all those problems can and should be avoided. Costs associated with marketing issues can be astronomical. Major corporations can lose millions due to ineffective social media campaigns which adversely affects the bottom line. 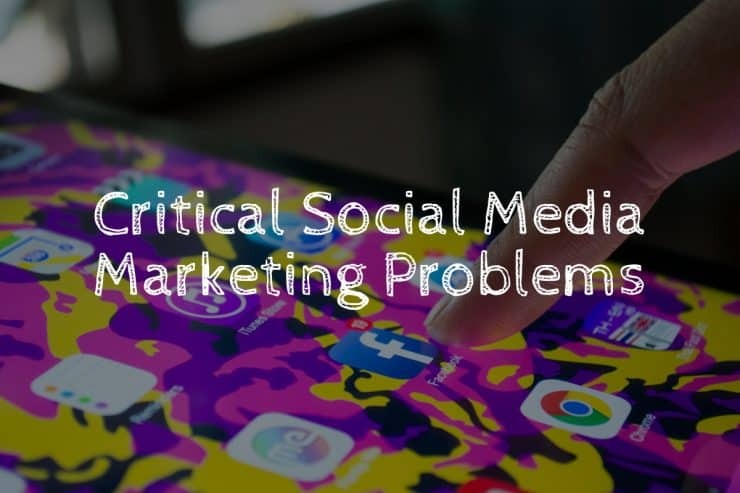 We are here to address the common social media marketing problems and show you how to avoid them. These solutions will allow you to cultivate a more robust social media presence efficiently with minimal resources. This is one essential that many companies tend to overlook – a strategy for social media marketing. Diving in, creating profiles, and hoping for progress may be something to you want to strive for, but take a step back and slow down. Develop a strategy for your social media to garner better long-term results. Look at your strategy as a GPS navigation system. It helps you navigate uncharted territory without which you’d be lost. Same principle applies to your social media strategy – it’s a thought-out guide for how you will charter your social media platforms and what you hope to achieve. Why? Why are you using social media platform to promote your business? Why did you choose the platform(s) that you did? By answering the “why”, it will give you a sense of direction, what you hope to achieve through social media marketing, and help you understand why the platforms you have chosen are the right tools for the job. Be specific, leave little room for interpretation. How? How will you achieve the social media marketing vision you have set up for your company? Look over your social media marketing budget, and how the budget will be allocated. Will it be used for ads, influencers, content creation? Think about the appropriate content you aim to create for each platform you have chosen to use. What? What is the desired outcome of your social media marketing? What metrics are you looking at and what are you hoping to improve on? What is your time frame – week, month, year? If this is your first time making a social media strategy, I would recommend you make short-term goals, consistently. This will help you get accustomed to a more structured marketing regiment, and will keep your morale high as you achieve these goals. One of the worst self-inflicted social media problems – not promoting the platforms you’re using. Don’t keep these things to yourself. You’re not doing your business any favors by not actively promoting social media profiles across all available outlets. Have no fear, you won’t come across as annoying if you do that. Assess your presence online and offline to find appropriate mediums to host your social media profile handles. Website. If you have a website, you should include links that guide visitor to your social media profiles. Typically, these links are located either at the top or the bottom of the page. Email signature. Sending emails is part of business operations that can also build social media awareness for you. Create an email signature that contains links to social media pages, that way the recipient is always aware. Business cards pamphlets, other sheets of paper. Whether you use business cards, fliers, leaflets, pamphlets, as a means to promote something or raise awareness, include social media links on there too. Guest blogging can attract attention. Consider guest blogging as a way to build your follower base (and build up quality backlinks for SEO). When your guest post gets published, the author box with your information – website and social media links – will be posted too. Depending on the publisher, this has the potential to rack up a larger number of social media followers quickly. For any potential customers, having an easy way to reach your social media is crucial. Social media is a tool not only to connect with followers, but for would-be-customers to assess social proof and results you have achieved thus far. 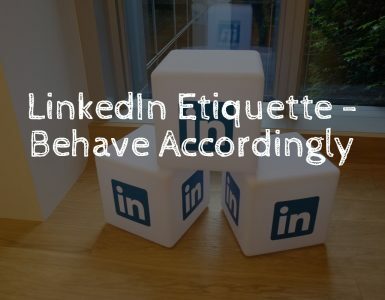 Make sure that at any point of B2B or B2C interaction – aside from verbal – there is a subtle nudge to your social media profiles. Now since I mentioned profile promotion, I want to touch on content promotion too. Just because you have created a solid social media post or a video, that won’t always translate to views and engagement. Promoting content that is created by you or your marketing team is part of the process that is often overlooked. Joining relevant groups. LinkedIn and Facebook for example, have variety of groups that coincide with a specific niche (travel, freelancing, photography, finance, etc). Join a few groups that match up to your business interests. If the content is relevant to a specific group – and doesn’t break group rules – share it. This is an easy way to not only promote the content your create, but to meet like-minded individuals from around the globe that share your interests. Talk to your co-workers and inform your friends about the recent content that was published. See if they can share it with their circle of friends and relatives. 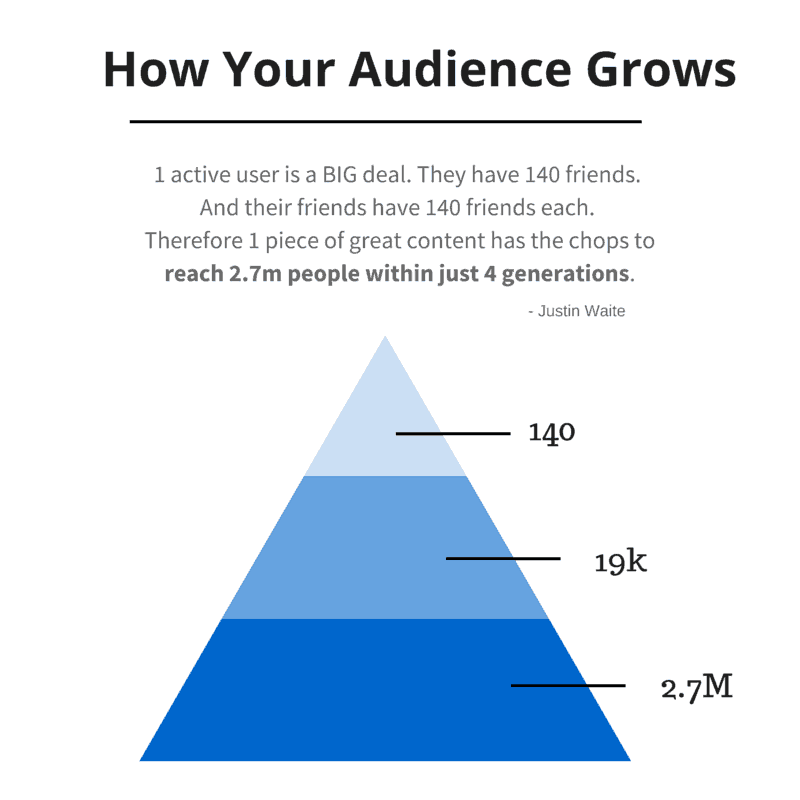 The compound effect of your immediate social circle can garner impressive engagement results. Compound effect is when your friends share it with their friends and their friends share it with their friends – and so on. Even if just a small percentage actually go through with viewing and sharing the content you create, it can travel down a line of varying social circles quickly. Effects of compound effect on your audience. Influencers that operate in a similar industry can generate additional attention for your company. Reach out to a few established influencers that work within a similar niche as you. Establish communication and see if they would be willing to share some of your social media posts on their platform too. If you choose to go down this route, make sure your content is valuable or can invoke a positive response from your audience. Reputable influencers can be picky with who and what they work with. Creating unique content that piques the attention of your audience and fosters engagement can be a daunting task. It’s not always easy to be creative especially when you also need to be consistent with creativity. Some marketers may even lock themselves into a monotonous routine based on past results – one tactic that worked before becomes overused. It may work for a while, but it won’t generate a discussion or prolonged engagement from your audience. You can ease the content creation burden for a little while by repurposing well-performing content from the past. Perhaps something that was posted on one social media profile can find a new home on another platform and be just as effective as before – if not more so. This is an easy way to fill a content void while you’re brainstorming new ideas. Some of the longer content you create on your website or blog that’s information heavy can be condensed into infographics. Aggregating all the vital bits of information from the text into a visual medium is an easy and effective way to spice up your social media content. Not to mention, visuals and graphics are simple to for the audience to digest and can generate up to 90% more views than typical text. Going overboard with cheesy promotional content can adversely affect your social media marketing efforts. Rather than trying to develop organic conversation with your follower base, you take a turn for the worse and stick to never-ending promotional campaign. 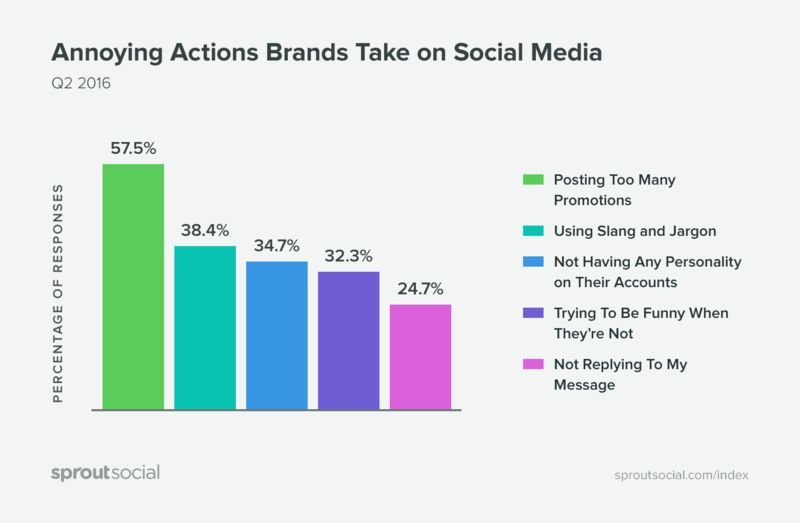 One of the biggest pet-peeves that the audience encounter on a company’s social media profile is the constant promotion of their product or service. You can’t possibly build authentic relationships with your audience when the conversation is one sided – just you pushing out promotion after promotion. I came across the 5-3-2 rule that is specifically tailored for effective social media content creation. 5-3-2 rule breaks down your posts by categories. If you post 10 pieces of content, 5 of them need to be content created by others shared on your platform. 3 pieces of content will be the content you or your team create that’s relevant to the audience (doesn’t have to be strictly promotional). The last 2 can be more personal, not work-related content that humanizes your brand and makes you feel more approachable. Take this into account next time before you press the “publish” button. Automation tools for social media are readily available for anyone to use. A big problem concerning social media marketing is not utilizing automation to your advantage. You want to save yourself time, save money, and be more effective with your social media marketing – automation addresses these issues with minimal effort. There is less of a need to stay glued to the computer or your phone at all times to roll out content in a timely manner. If you rely on a content calendar – like many digital marketers do – punctuality can play a pivotal role in just how well your content performs. Not to mention the impact of time-zones on audience engagement. Automation gives you the ability to schedule posts to be released when your audience is active. If you use multiple social media platforms, with the help of automation tools you can oversee and manage all your accounts through a centralized dashboard. There won’t be a need to log into each account individually and manually publish content for your audience to see. Choosing to automate you social media gives you the chance to ease off the reigns and delegate you attention to other matters. Although automation tools are an effective way to enhance your social media marketing, it won’t replace your input entirely. 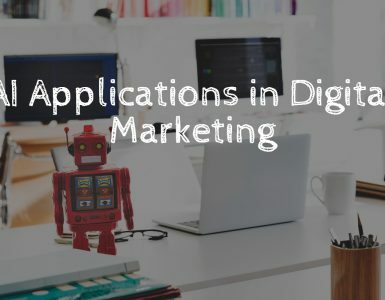 Automation is a marketing supplement, however an individual is still very much a critical component in engaging the audience. Keep conversation alive and authentic – don’t remove the human variable. Good ol’ metrics that often get thrown by the wayside. Performing actions and implementing strategies without a way to measure their success is pointless – you don’t know what works and what doesn’t. Gather and evaluate your key metrics that you want to measure throughout the social media marketing process. It will allow you to view and track the progress you’re making to see if the content you create generates value to your business. Along side plethora of online tools to help you analyze social media performance, the social media platforms themselves offer analytics for you to view. Spreadsheets are a good solution to storing data and measure effectiveness of your marketing efforts. Google Sheets for example, allow you to not only create graphs with the data you collect, but to share it within your organization. The whole point of this post is to help you negate the adverse effects of social media marketing problems. I want to acknowledge the fact that they exist and many people succumb to them, but solutions are here and are accessible. Don’t let these menial problems stifle your digital marketing efforts. Enhance the effects of your social media profiles, and garner valuable attention from your audience effectively by heeding my advice.